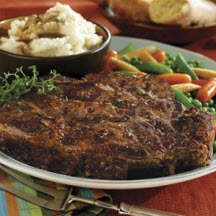 CooksRecipes has quality, kitchen-tested recipes for beef pot roast dishes that you can count on for successful deliciousness. 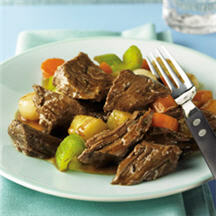 A delicious pot roast, braised in red wine seasoned with fresh thyme and a copious amount of garlic until fork-tender. 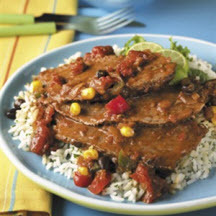 Classic southwestern flavors permeate this pot roast as it simmers to fork-tender perfection in chunky tomato salsa seasoned with cumin. Tender, braised Yankee pot roast with the trimmings — potatoes, carrots, celery and mushrooms.